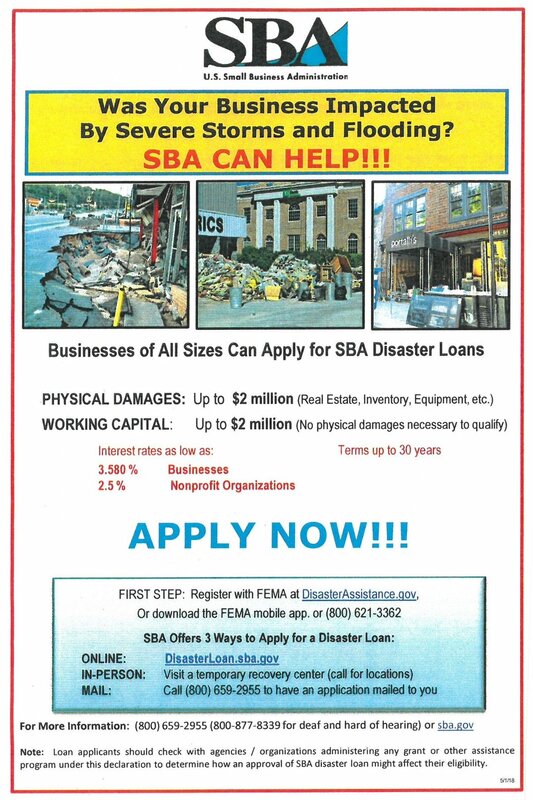 If you are located in a declared disaster area, you may be eligible for financial assistance from the U.S. Small Business Administration (SBA). Application deadlines for those affected by severe storms and flooding occurring February 14, 2018 through March 4, 2018 are July 5, 2018 for physical damage and February 5, 2019 for economic injury. Click here for more information. The Indiana Department of Natural Resources, as a sponsor to the City of Rochester, is developing plans for the Rochester Recreational Trails Program Extension Nickel Plate Trail project in Fulton County, Indiana. The project will use federal and local funds. The purpose of the project is to improve connectivity of existing trails and provide safer pedestrian transportation to downtown Rochester. 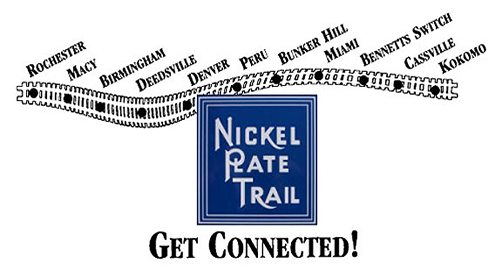 The primary concern to be addressed is to continue the Nickel Plate Trail so that it can connect to existing trails and to the assets of the City of Rochester. This trail project involves construction of a trail along a railroad corridor from Mitchell Street to 8th Street in the City of Rochester. The proposed trail will extend the Nickel Plate Trail along the west side of the railbed, cross 12th Street, cross to the east side of the railbed at 9th Street, then continue east along the south side of 8th Street toward where it will meet with the existing Rochester City Pathway. The trail length will be approximately 1.04 miles and will be constructed as a 10-foot-wide asphalt trail and with approximately 330 linear feet of raised boardwalk through a wetland area. The project will involve the construction of a trailhead at 9th Street that will feature benches, signage, parking, and bike racks. Installation of safety signage and striped crossings at all road crossings will also be included in this project. The project is being funded federally through a Recreational Trails Program grant from the Indiana Department of Natural Resources (IDNR). The total cost estimate for the project, including construction, right-of-way, and engineering, is $250,000. Approximately 2.56 acre of permanent right-of-way will be required for the project, 2.00 acres of which will be from a railroad easement. Flagging and temporary lane closures are anticipated for striping at the road crossings. Impacts to traffic will be temporary and minimal. There will be no relocations of businesses or residences. It is estimated that under 0.10 acre of wetlands will be impacted by this project. No significant adverse impacts to the human and natural environment were found during the creation of the environmental document. The AI document is also available for viewing online at: www.fultondevelopment.org and www.rochester.in.us. In accordance with the Americans with Disabilities Act, if you have a disability for which the City of Rochester needs to provide accessibility to the above documents such as interpreters or readers, please contact Shoda Beehler at 574-223-2510 or clerk@rochester.in.us. All interested persons may request a public hearing or express their concerns by submitting comments to Green3 LLC at 1104 Prospect Street, Indianapolis, Indiana 46203 or to the City of Rochester Clerk-Treasurer Office at 320 Main Street, Rochester, Indiana 46975. All comments must be received by January 21, 2018. If a hearing is determined to be in the best interest of the public, additional notification will be prepared and the public notified. Otherwise, any comments or materials received will be considered in the decision-making process. This notice is published in compliance with: 1) Code of Federal Regulations, Title 23, Section 771 (CFR 771.111(h)(1) stating: “Each State must have procedures approved by the FHWA to carry out a public involvement/public hearing program.”; 2) 23 CFR 450.210(a)(1)(ix) stating: “Provide for the periodic review of the effectiveness of the public involvement process to ensure that the process provides full and open access to all interested parties and revise the process, as appropriate.”; and 3) The INDOT Public Involvement Policies and Procedures approved by the Federal Highway Administration on August 16, 2012.